There’s no shortcut to weight loss, but the rise of waist trainers has been extremely helpful for women who want to achieve an instant hourglass look. That’s the major benefit of waist training; it works instantaneously. All you need to do is wear a girdle underneath your clothes, and it will immediately shave a few pounds off your look. In fact, some women find that wearing waist trainers also helps motivate them to lose weight because it provides a sense of restriction. In the world of girdles, the Yianna Waist Trainer is among the most sought after. It has so many beneficial features for women who want to lose 3-5 inches when worn, and it can also be used by new mothers who need some help regaining their old body after childbirth. The Yianna Waist Trainer is unique because it can actually increase thermal activity in your body, which can help you lose weight in the long run. It’s made from durable latex which not only works to slim your appearance but also gently lifts the underbust and controls your tummy as soon as you wear it. This girdle is made with wide, big hooks and eye closure for easy size adjustment. If you have a long torso, don’t worry because it works just fine for your body type too. 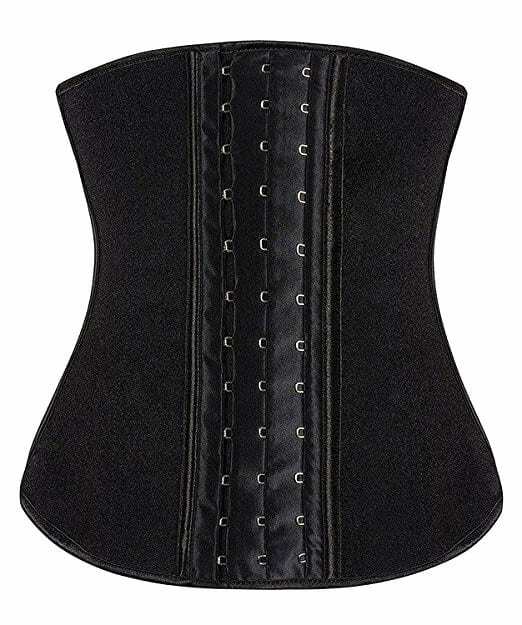 Nine spiral steel bones within the corset assists in effective waist cinching while supporting good posture. Unlike many girdles in the market that make it difficult to move about, the Yianna Women’s Underbust Latex Sport Girdle Waist Trainer is made with soft plastic bones that encourage flexibility. The Yianna Waist Trainer is also huge on comfort: it’s constructed with three layers of fabric. The inner layer is made with 96% cotton and 4% spandex, its middle layer is made with 100% natural latex, and the outer layer is made with tough nylon, Lycra, and spandex. The rubber component is effective in reducing as much as 5 inches off your waist – within seconds after wearing it! It’s clear that Yianna took great care in designing every detail of this product. Women will enjoy wearing it because it has a non-slip interior surface that prevents bunching and slipping. Plus, it’s extremely comfortable to wear. Breathing is easy, too! Not many girdles in the market can boast about that because many of these garments are notorious for making breathing difficult. What’s more, is that this girdle comes with a curved design that also supports your lower back and abdomen. There are hundreds, possibly even thousands of different kinds of waist trainers in the market. Because of this, we wanted to check out reviews to see what customers had to say about it. We were pleasantly surprised to see that there were several thousand positive reviews about the Yianna Waist Trainer. Several women have written reviews saying that they have owned many other types of waist trainers in the past, yet it’s only the Yianna Women’s Underbust Latex Sport Girdle Waist Trainer that has exceeded their expectations. Reviews verify that it does its job and does it well, so it’s clear that it’s worth every cent. It’s good to know that according to reviews, women can certainly rely on this product to help them lose weight in their stomach, especially when combined with a diet. Another great benefit we noticed when reading reviews is that women appreciate how this girdle doesn’t roll over or cut into the skin, which is a good indication of how comfortable it is to wear. However, there were a few customers who were disappointed in the quality of the product. Some found that it broke down rather easily after wearing it a few times, though those complains were only in the minority of reviews. Overall, considering the sheer volume of positive reviews, the Yianna Waist Trainer comes out as the champ in the market. The Yianna Waist Trainer is highly recommended for women who are looking for a high-quality waist trainer that is comfortable to wear. You can even wear it to yoga – that’s how flexible it is! The Yianna Waist Trainer is available at a great price online, so you might want to check out Amazon. They can also deliver it to your doorstep within a few days. There’s no need to put yourself through the trouble to achieve an hourglass figure. 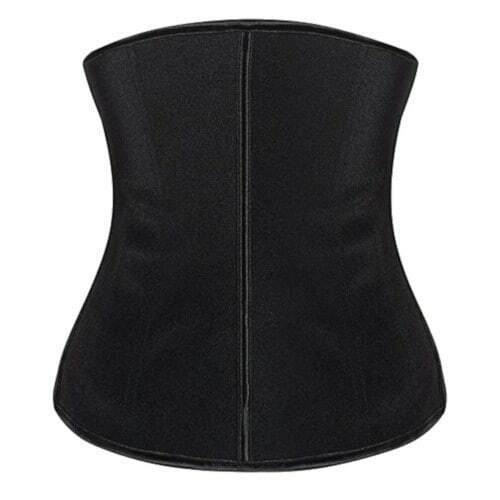 The Yianna Women’s Underbust Latex Sport Girdle Waist Trainer does all the work for you. It’s designed to be used by women of all shapes, sizes, and heights so you don’t have to spend hours looking for that perfect waist trainer – this is the only one you will ever need.